In fact, at this very moment, approximately 40 percent of the municipal workforce is within 5 years of retirement. That means many local governments, like businesses in the private sector, need to brace for what’s sure to be a seismic generational shift. And, the most savvy municipalities are getting a head start by meeting “Y” Generation (AKA: millennials) where they are and catching some Zs in the process. According to the Pew Research Center, anyone born between 1981 and 1996 is considered a Millennial, and anyone born from 1997 onward is part of Generation Z (the oldest of whom turn 22 this year). While there are myriad social, political, and economic factors that distinguish Boomers and Gen Xers from their Y and Z brethren, technology has to be among the biggest differentiators. Consider this: the “World Wide Web” only became publicly available on August 6, 1991 — a fact that positions the birth of the Internet as a decidedly Millennial event. Generation Y literally came of age alongside the Internet, spending most of their years — formative and otherwise — online. It only makes sense then, that if you want to engage Millennials you need to meet them where they live (in cyberspace). And, that’s a reality that many civic leaders across the country are starting to embrace. At ClearGov, we talk to local officials all day every day and we sometimes hear complaints that young Americans aren’t as politically engaged or civic-minded as previous generations. We couldn’t disagree more, and a recent survey by GenForward and NBC News also begs to differ. The poll shows that Millennials are not only committed to affecting change, they’re prepared to work for it. Six in 10 think they have the skills and knowledge necessary to participate in politics. And 63 percent think that by participating, they can make a difference. So, where’s the disconnect? The short answer is that it’s online. Looking for Millennials at a town meeting is like looking for goldfish in a sandbox: it’s not their thing. They grew up on the Internet, they expect information to be online and at their fingertips. And, frankly, they’re suspicious if it’s not. Meanwhile, their Gen Z siblings (and offspring!) grew up clutching an iPhone in their tiny little hands. If you really want to have a meaningful exchange with anyone born in the last three decades or so, you need to do it on the small screen (a laptop, an iPad, or a mobile device). • Live-stream your town meetings on Facebook. • Post your local budget in a readable format, one that’s not only accessible on a cell phone, but decipherable. • Pitch capital improvements on social media and then drive young residents to online project pages where they can get more details and subscribe to receive automatic updates. Today, forward-thinking civic leaders are tasked with governing in a dynamic and hyperconnected world that has no precedent. But, there are plenty of tools out there to help local officials navigate these uncharted waters and reach out to their younger constituents who are genuinely interested in how local government works and may actually want to play an active role. Turnkey platforms like ClearGov, for example, make it easy for municipalities to share demographics, financials, project data, and more in an interactive online format that’s accessible and easy for everyone — from Boomers to Gens X, Y, and Z — to understand. You can get started by claiming your free profile here. Meanwhile, the sooner you connect with “Y” Generation the better. The Millennial Action Project, a nonpartisan group that supports young people in politics, says that more than 800 millennials ran for state legislative seats in 2018. More than a third, approximately 275, won. If you’re not actively building your online presence, you’re missing out on a tremendous pool of talent that’s eager to be engaged. Plus, they’re the only ones who can help you fix that weird thing that keeps happening with your cell phone. With the ClearGov platform, you’ve got a powerful tool at your disposal to help prepare for your annual budget review, and really any meeting (either internal or public-facing) in which you’ll be discussing finances, capital projects, or short- and long-term planning. In addition to providing taxpayers with an easy-to-understand, visual overview of your finances, your ClearGov Transparency Center can be a valuable resource for public officials engaged in strategic planning. Here are five ways you can leverage ClearGov to help get everyone on the same page and build valuable consensus. It’s a best practice to ensure that your Fiscal Transparency Center always displays the most current data available. In fact, prior to your budget review meetings, it’s a good idea to publish your proposed budget to your ClearGov site, that way key stakeholders and even residents can follow the process as it progresses. Keep in mind, you control access to your numbers so you decide who sees what when. You can share the proposed budget internally as you prep and then open it up to the public once you’re ready to present. Just be sure to add commentary clearly indicating that the numbers shown are proposed and not yet approved. Your ClearGov client success manager can help you get your most up-to-date information uploaded to the site in a timely manner — just give us 48 hours notice and we’ll make it happen. Why recreate the wheel in Excel when you can generate compelling charts and graphs right from the ClearGov platform with a simple click? With ClearGov Insights, you have the flexibility to easily export powerful visuals to include in your presentation decks. And, if you’re using ClearGov Budgets, you have access to historical trends, forecasted projections, and additional dynamic charts to help inform both short- and long-term budget impacts. That’s important intelligence you can then share with key stakeholders, so everyone can make better informed budgetary decisions. Numbers only tell part of the story, but just a few lines of supporting text can add valuable missing context — like explain a shortfall or call attention to savings. For example, if revenue looks lower over time because the past three years included non-recurring revenue to fund a project, you can easily annotate that. Or, say you need an investment in technology upgrades, you can use commentary to justify increased expenditures in that particular category. Think of it this way: ClearGov infographics provides the what and when, and your commentary provides the why and how. If you haven’t used ClearGov’s new Projects app yet (it’s free with your Insights subscription), now’s a good time to get your feet wet — especially if you’re looking to fund capital outlays. The easy-to-use application allows you to quickly create and publish detailed project pages to your ClearGov site. These template-driven pages take only minutes to populate and post, and enable you to share proposed timelines, planning documents, budgets, and more in one centralized location. It’s a great way to educate the public and build consensus around proposed capital initiatives like new construction, renovations, and more. And, perhaps best of all, you don’t need to be a webmaster to create a project page. The process is easy and intuitive and you can empower any member of your team to post. Finally, once the page is live, visitors can subscribe to receive automated updates. You can also opt to invite visitors to ask questions or post comments in a moderated forum you control. Want help getting started? Your ClearGov client success manager is happy to show you the ropes. You probably already have a link to your Transparency Center on your website (if you don’t, please reach out to your client success manager), but there are other ways you can get the word out to constituents about this valuable resource. Use every available channel, including email communications, newsletters, and social media. In fact, consider pinning a post with a link to your Transparency Center at the top of your Facebook and Twitter pages, especially as it gets closer to the date of your annual budget review. At budget presentation, be sure to include one or more slides that references the Transparency Center URL. It should also appear on any printed materials. The more people (residents, business owners, local press) you can drive to your site, the fewer inquiries you’ll have to field down the road. Plus, the whole idea behind transparency is to better engage and inform your electorate, so try to promote your ClearGov page every opportunity you get. We hope you find these tips helpful as you prepare for and navigate your next budget meeting. As always, please reach out if you have questions or concerns. We’re here to help! We’re honored to announce that ClearGov has been featured in USA Today and recognized by the compensation, culture, and career monitoring website Comparably.com as a Best Place to Work in 2019. It seems the “ClearGovernors” (aka: our employees) have spoken and they had nothing but nice things to say. Over the last year, workers from across the Boston region anonymously rated their employers on the Comparably website. After answering a series of over 50 structured workplace questions in core culture categories — including compensation, leadership, professional development, work-life balance, perks, and benefits — survey participants ranked ClearGov as one of the top 15 places to work. It turns out “Making democracy work better” is more than just an awesome tagline, it’s a fun, meaningful, and rewarding way to put your talents to the test. For a small startup that’s barely four years young, ClearGov has already made a name for itself as a leader in municipal technology and a really great place to work. Last year, we doubled our client base, grew our partnership network, launched two new products, and welcomed new talent to our team — expanding our employee base by 150 percent. And, we’re still growing strong. If you’re interested in working at one of the best places in Greater Boston, with the most talented team in gov tech, a frequently awesome playlist, and all the chocolate you can eat, I know just the place. And they’re hiring. Join us! Maynard, MA (3/14/19) – ClearGov, a leader in municipal technology, announced today it has introduced an easy new way for local governments and school districts to inform residents about capital projects and other important community initiatives. The new ClearGov Projects application, which comes free with the ClearGov Insights platform, allows town and school officials to quickly create and publish project pages that not only shine a spotlight on capital development, but also help to spread the word far and wide. These template-driven pages take only minutes to populate and post, and allow agencies to share project timelines, documents, budgets, and more in one centralized location. While today’s taxpayers have a vested interest in capital projects like new construction and sewer and road improvements, they don’t have a lot of time — especially at the end of a long work day when most public meetings take place (and where projects like these are typically discussed). And, with fewer beat reporters tracking local town council events, it’s increasingly difficult for citizens to stay informed about the issues they care about most. ClearGov CEO Chris Bullock says, “ClearGov Projects gives local governments a new 24/7 communications channel that makes it easy for interested residents to get educated, updated, and provide feedback or ask questions about a highlighted project.” According to Bullock, once an agency creates a page for their project they can easily publish it to ClearGov, syndicate it to their website, and share it on social media to drive engagement. Residents can also follow a project to keep tabs on the latest developments by simply visiting the page and clicking on the Subscribe to Project Updates button. Once subscribed, they’ll automatically receive email notifications every time information on the page gets updated. If project deadlines change or progress stalls, project page followers will be among the first to know. The Village of Rye Brook in Westchester County, New York is already leveraging the innovative project communications tool to promote critical, public-funded construction activities in their community. Rye Brook is among the first municipalities in the country to go live with a ClearGov Project Page. An early adopter of ClearGov Insights, Rye Brook launched the state’s first infographic-based Fiscal Transparency Center back in March of 2017. Since then, another 17 New York communities have followed suit launching centers of their own, powered by ClearGov. The page, accessible via the Village’s Transparency Site, includes pictures, a feasibility study, and other planning documents, as well as a frequently updated timeline detailing key project milestones. Bradbury says the page is particularly useful for residents who live in close proximity to the construction site and are likely to be most affected in the coming months. ClearGov is on a mission to build a community of transparent, data-driven, modern governments. ClearGov provides a full suite of turnkey, cloud-based solutions to help local municipalities drive transparency, streamline budgeting, and better engage residents. ClearGov’s award-winning platform is currently used by hundreds of communities across 23 different states. If January and February are any indication, 2019 promises to be another volatile year for school districts as teachers nationwide hit the streets to demand raises and other benefits. Last month, tens of thousands of Los Angeles teachers kicked things off, marching downtown and picketing for six school days before reaching a deal with officials. Two weeks ago, Denver public school teachers went on strike for the first time in 25 years. And, this week, teachers in Oakland, CA headed back to the picket line demanding smaller classes and better pay. This all occurs on the heels of the grassroots “Red for Ed” movement that began in Arizona and quickly gained traction last year, and it shows no sign of slowing anytime soon. Now, new analysis conducted by Education Week points to budget surpluses in more than half the states across the country. But the question is, will states opt to dole out big dollars for education or err on the side of caution and tuck money away for a rainy day? If you’re a district leader, now’s a good time to bring your A-game to the budget negotiations table. If you’re a district leader, now’s a good time to bring your A-game to the budget negotiations table. The clearer you can make your case to committee, council, executive board, teachers, parent groups, and the public at large the better position you’ll be in to procure the funding you need to improve outcomes. One way to do that is to invest in tools that tell your budget story in the clearest possible way for both internal and external stakeholders. For example, rather than cobbling together spreadsheets and printouts to justify your requests, consider a more visual strategy that lays out all your data (not just the line items, but the trends, demographics, and enrollment numbers that back up your requests) in a way that’s easy for everyone to understand. ClearGov Budgets includes access to historical trends, forecasted projections, and simple charts to help inform both short- and long-term budget impacts. You can even create multiple budgets to easily and quickly compare various what-if scenarios. Additionally, ClearGov dynamically generates easy-to-understand graphics as you go, so you can identify at a glance areas that are consistently under or over budget. This is precisely the kind of visualization that can help you effectively gauge the impact of today’s adjustments on tomorrow’s revenues and expenditures — and make smarter, evidence-based decisions for your district. With tools like ClearGov, you also have the ability to compare your district’s data to others with similar enrollments or that serve similar student populations. Traditionally, benchmarking analyses like these can be prohibitively expensive and time-consuming to conduct, but ClearGov automates the process making it easy for you to identify relevant peer groups so you can quickly see how your district stacks up on any given line item. That’s valuable intelligence you can use to build your case for increasing or decreasing your spend in key areas. Once your budget is final, you can even publish it to your ClearGov transparency site with the click of a button. And, there are numerous reasons to make your district’s fiscal data accessible to the public. Among the chief reasons to consider posting budget actuals to your public-facing profile is to build community consensus. An informed electorate can be your biggest asset, generating the support you need to nudge state officials to act on your behalf. According to a recent poll released by Loyola Marymount University, the overwhelming majority of Los Angeles residents — nearly 90 percent — supported the recent teachers strike. It’s always better when the public’s got your back. Understandably, budgeting for new business tools often takes a back seat to curriculum, instruction, and building upgrades. But in this case, your ability to budget accurately and forecast with precision is an essential means to a critical end. And, a very modest investment in smart, cloud-based solutions may just help you build a more compelling argument to persuade local legislators to fund the initiatives that matter most to your community. These tools also serve to get school executives working off the same page and more efficiently so you can spend more time on budget strategy and less time scrambling to pull the numbers together. In the end, it’s all about funding better outcomes and the best way to ensure that is to make sure everyone understands exactly what’s on the table. NOTE: In November of 2018, the digital news publication Route Fifty published an edited version of the following commentary by ClearGov CEO Chris Bullock. With the federal OPEN Government Data Act officially signed into law just last week, this seems like the perfect time to revisit Chris’ timely interview with Terry Mutchler, transparency advocate and former executive director of Pennsylvania’s Office of Open Records. If you skip past the section of the declaration that you had to memorize as a kid, you’ll find a less-quoted list of grievances against King George III. That’s where Thomas Jefferson calls out colonial governors for clandestinely moving the meeting sites of assemblies and limiting access to public records. Fast forward 242 years and transparency advocates like Terry Mutchler continue to fight the powers that be in the revolutionary pursuit of public access. And — given the current climate of distrust in our democracy and the proliferation of “fake news” — the need for an informed and educated citizenry has arguably never been greater. She was recently inducted into the National Freedom of Information (FOI) Coalition’s State Open Government Hall of Fame. It’s a long and cumbersome title for the annually bestowed national honor, but it’s fitting when you consider that there’s nothing concise or easy about getting government agencies to show you their checkbooks. No one knows that better than Mutchler who ten years ago single-handedly built Pennsylvania’s independent office of open records from the ground up. Before she even had a budget or a building, she set up a makeshift office in the back of a dismantled library and, with a copy of the state’s new open records law in hand, began interviewing stakeholders and writing the policies and procedures that paved the way for the level of transparency the state currently enjoys. Mutchler is a former AP award-winning journalist and a current practicing partner at Mutchler Lyons, the nation’s first firm focused exclusively on transparency law. She’s also something of a self-proclaimed openness geek as evidenced by her ability to quote lesser-known passages from the Declaration of Independence at the drop of a hat. We asked for her expert take on the Sisyphean task of nudging local officials into compliance. Here’s what she had to say about where municipalities stand today and where they should focus their energies for the long-term. As keepers and executors of the public purse, it behooves local leaders to get their constituents to understand what resources they actually have and how those resources are distributed. Until you get everything out on the table, you can’t effectively plan ahead. Yet, there’s often resistance on the part of municipalities to pony up the receipts when asked. 1. Strip emotion from the equation: While a record request may feel personal, it’s not. The requestor wants to see the township’s checkbook, not yours. When you remove emotion and err on the side of openness, you immediately reduce the friction. She advises clerks to adopt a presumption of openness, meaning that they should presume the record is open and then check to see if there’s a legitimate reason to withhold it. 2. Formalize the request process: One way to strip the emotion from the task is to make it routine. Create a structure and put forms in place so you don’t have to reinvent the wheel every time you get a request. 3. Put it online: Once you’ve built a form and a process, put everything on your website — including your records. The more information you can make accessible, the less you’ll have to manually track down. Plus, you’ll have fewer requests to field if you empower citizens to effectively serve themselves. Mutchler says the existing record retention law that’s on the books in Pennsylvania hasn’t been updated since 1929, “not since blackberries were still on a bush,” she quips. Mutchler declares it may take 10–15 years to get all three of these pieces to fall into place, but when they do, Pennsylvania will lead the country in transparency and serve as a model for open government everywhere. Spoken like a true hall of famer. Bryan takes on Bloomberg Baystate Business Hour! If your radio happened to be tuned to the Bloomberg Baystate Business Hour Monday afternoon, you may have heard the dulcet tones of ClearGov president Bryan Burdick making a compelling case for clarity in governance to Boston bureau chief Tom Moroney and radio news anchor Peter Barnes. If you missed it, you can listen here. Bryan’s segment begins around 13 minutes in. Bryan made news on several fronts, announcing the launch of a new product feature called ClearGov Projects and a new partnership with Patch, a hyperlocal news platform that currently serves more than 1,200 communities, towns, and cities across the U.S.
ClearGov Projects gives local governments and schools an easy way to shine a spotlight on capital improvements and the initiatives people care about most. The new feature allows ClearGov customers to create and publish detailed project pages in a matter of minutes so they can easily share important updates about budgets, timelines, and more with their communities and the Press. Speaking of the Press, ClearGov has also just joined forced with Patch to integrate ClearGov profiles directly into all of their local sites. After successfully piloting the new service in Massachusetts, we’re gearing up to roll it out to another 900 Patch sites across the country. Stay tuned to the ClearGov blog for more details on this exciting development and be sure to check out Bryan’s interview with Bloomberg’s Boston Bureau. ClearGov named to GovTech 100 list for 2019 — 4th year in a row! 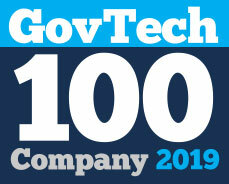 ClearGov is honored to be recognized as a GovTech 100 company for 2019. The annual list compiled and published by Government Technology magazine shines a spotlight on the top businesses committed to making a difference in state and local government agencies. That comes as no surprise to ClearGov as we not only doubled our client base across 20 states last year but also raised an additional $2.25M through a second seed round of financing back in May. The oversubscribed round attracted both new investors and existing backers who upped their stake in ClearGov. “We’re currently leveraging this latest infusion of capital to scale our sales and client services teams, bring more new products to market, and further advance our mission to help local governments be more efficient and effective,” said Bullock. To learn more about the 2019 GovTech 100 and the growth trajectory for companies that made the list, check out Ben Miller’s article. Click here to view the full list of winning GovTech 100 companies for 2019.